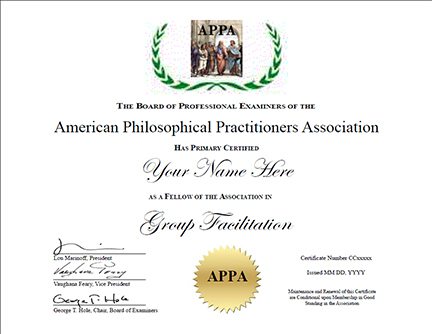 This two-day program confers a Certificate in Group Facilitation. 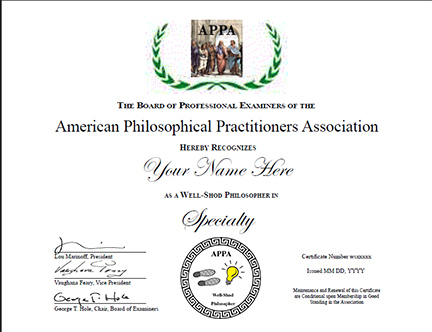 It provides tools to facilitate a Nelsonian Socratic Dialogue. 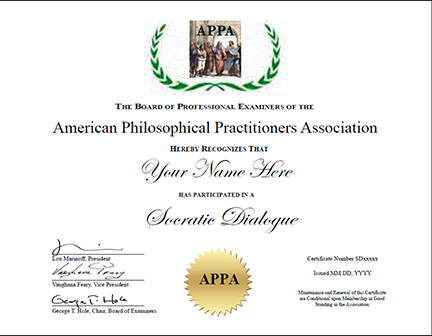 Open to Adjunct and Affiliate members who have completed at least two Socratic Dialogues as participants. 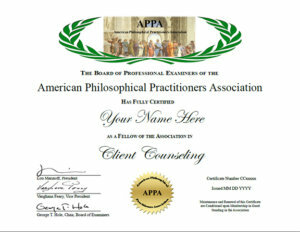 This option reserves a place and requires advance payment of program fee (at 10% discount). This product can only be purchased by members. To purchase this product, sign up by purchasing Adjunct: Join or Renew (quarterly), Adjunct: Join or Renew (annually), Affiliate: Join or Renew (quarterly) or Affiliate: Join or Renew (annually), or log in if you are a member.